I’m a lucky ducky to have a nice boyfriend who gets me super cool presents all the time! This Sweet like candy fragrance came with a change purse and lotion too. It’s a nice berry scent, strong, but doesn’t knock you down. It lasts pretty well on my skin, and that means a lot to me. I hate it when scents are absorbed into the air! This bottle is beautiful too! My latest scent is this beachy white sun by Tom Ford. It is a tad bit oily and has added shine with flakes of golden glitter within it. It reminds me of Bare Bronze by Victoria’s Secret, or Lilly Pulitzer’s Beachy. My fave scents are summer-y ones. These wax melts are from Etsy made by Chris Ian Candles. I will say that they smell absolutely wonderful! They DON’T drift all the way upstairs like the Walmart wax, but that is probably because these are made out of soy and not all the synthetic properties that fill up the Walmart ones. I like these 100% soy meltees because they come in really unique scents like pink sugar/cotton candy and coffee!! And it is also nice that they are better to breathe in than the wax that includes so many chemicals. With all the brands I have tried, I have come to the realization that the wax seems to last forever. I guess that the smell fades away with each use, but I’ve been using some of the wax for over a year now and it still has held a scent. Maybe it depends on what kind of burner you have, like, how hot it gets. IDK! I’m always posting about stuff that smells good. Scents are important though! You don’t want to stink. Lol. 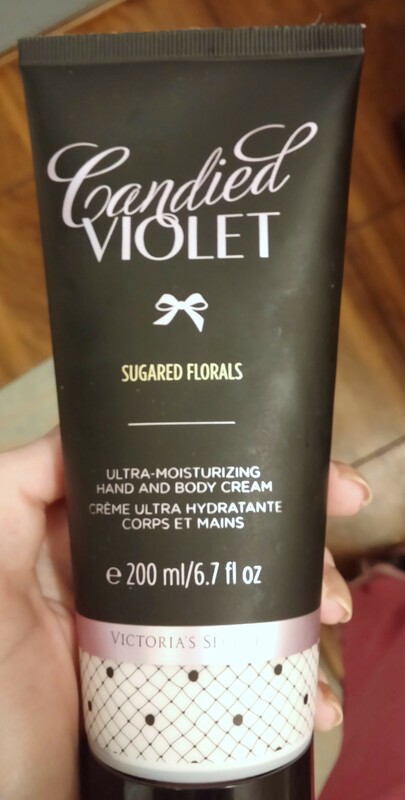 I’ve been using this lotion for a few months and I’m still not tired of it. I usually don’t like flowery smells because traditionally they are musky and heavy and you think of old women smelling like flowers. Well, that’s not the case with these new fleural scents from Victoria’s Secret. They mix in other scents like vanilla or fruity scents to give the flowery smell an updated vibe that is more light and refreshing. It might be a stretch, but candles have to do with fashion too! They smell nice, just like a perfume, therefore having certain candles could say a lot about who you are as a person. For example, If you have candles that are wood or cedar scents, you may be adventurous and outdoorsy. I have a lot of candles that are fruity or tropical because I love hot weather and anything that has to do with the beach atmosphere. Those scents are so relaxing to me! I have quite a few candles from bath and body works. My favorite one from there is Caribbean Escape. 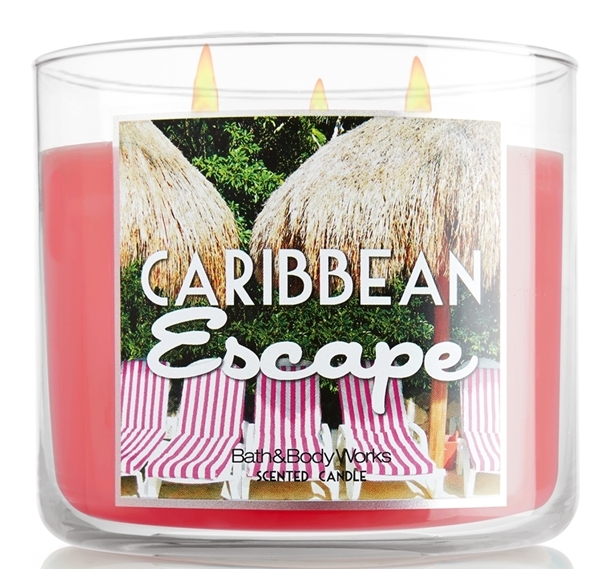 It has a tropical melon, raspberry nectar, lemon, sugarcane, and of course coconut fragrance. It is the best smell ever! I even bought the air freshener version of this scent to put in my car and I have it in the form of hand sanitizer also! My other favorite candle has an equally great smell to it. I think it might be a tie between these two scents! 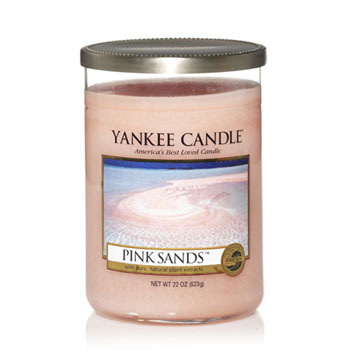 It is called Pink Sands and you can find it at Yankee Candle. It has a citrus type scent that is hard to explain. It has a floral, vanilla, and exotic fragrance all combined to make a really sweet tropical scent. It isn’t too strong or heavy scented so you won’t get tired of it either!